The three extraordinary inductees selected for this year’s Geneva High School Athletic Hall of Fame each were trailblazers in their own right. They include Josh Braley (2001), Geneva’s first-ever male state tennis champion; Tom Busch (1963), a rare four-sports star and centerpiece of the legendary 1963 basketball team; and coach Bonnie Gardiner, who lead Title IX women’s sports programs at Geneva and whose legacy continues to this day. All will be honored during the 19th annual Geneva Community High School Athletic Hall of Fame induction ceremony on Feb. 16, 2019, at Geneva High School’s main contest gymnasium, during halftime of the Geneva-versus-Hampshire game. The varsity game starts at 6 p.m. After the game, all ticket holders are invited to meet the hall-of-fame inductees during a coffee-and- cake reception in their honor in the north balcony of Geneva High’s contest gymnasium. Josh Braley is one of those rare Geneva athletes who attained state and national recognition. During his freshman year in 1998, with partner Jeff Byrnes, he won the conference doubles championship, blazed through the playoffs and finished ninth at the Illinois state meet. That year, Braley was named to the All State second team. The next spring, he and Byrnes won a second straight conference championship and took fifth place in the state meet. As a junior in 2000, he switched to singles competition, where he made his mark in Geneva athletic history. That year, Braley compiled a 35-2 record, and that May, stunned defending champion Tom Hanus of Palatine to win Geneva High’s first-ever male singles state tennis championship and was named to the high-school All-America tennis team. In 2001 as a senior, he dropped to seventh place at the Illinois state meet — but for the second straight season he was conference singles champion and was named All-State first team. Braley went to California on a tennis scholarship to Santa Clara University, where he was nationally ranked in Junior competition. Braley earned a business degree from Aurora University and went to work for Comcast, where he is now manager of recruitment in operations and systems training. Tom Busch is nothing short of a legend in Geneva High School athletics. He already is a de facto member of the Hall of Fame for his centerpiece role in the 1963 basketball team — Geneva’s “Hoosiers” moment, when it was one of the smallest schools to make the state’s Elite Eight. On Feb. 16, 2019, he will be inducted in his own right. Busch was an extremely rare four-sport letterman, earning that designation in football, basketball, track and baseball. As a senior in fall 1962, he was the MVP of Coach Bob Schick’s Viking football team, winning both All-Little Seven Conference and Chicago Tribune All-Area designations in the process. 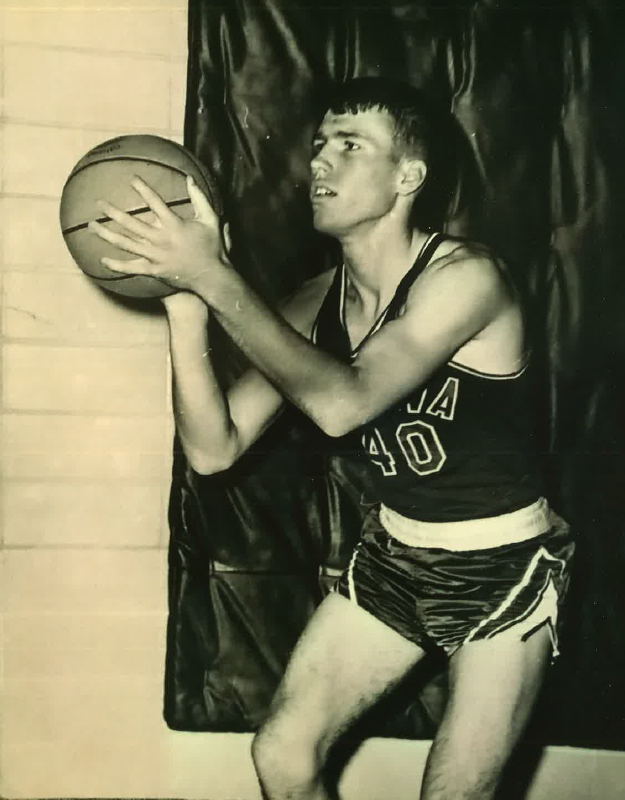 After that stellar 30-3 basketball season over the winter of 1962-63, Busch was named honorary captain of the All-Conference team and again was named to the Tribune’s All-Area team. In the spring of 1963, Geneva High School’s coaches awarded him the Eddie Fritz Trophy as the top athlete of his exceptionally talented graduating class. After a year at Bordentown Military Academy in New Jersey, where he was MVP of that school’s ’63-’64 basketball team, he went on to Wichita State University in Kansas, where he was a varsity starter as a sophomore in ’65-’66. He transferred to Northern Illinois University after his father’s passing, to be closer to the family printing business. He earned his bachelor’s degree in 1968, and spent six years in the Illinois Army National Guard reserves. Busch consistently has been involved in service to both the Geneva School District and community, as he continues to this day as managing partner of Busch-Schmitt Printing Company. In 1973 — the year that Billie Jean King swept former Wimbledon men’s champ Bobby Riggs in straight sets — there was a sea change in high school athletics with the passage of Title IX. Suddenly, schools across America were scrambling to add a full array of girls’ sports to the male athletic programs that had already been in place for roughly 75 years. At Geneva High, girls’ tennis was begun in fall 1974 and girls’ track-and-field in spring 1975 under previous Hall of Fame inductee Julie Koivula. But the 1975-76 school year was to see a full schedule, with interscholastic volleyball competition beginning that fall and a full softball schedule in the spring. Gardiner, a physical education teacher, stepped in to coach both volleyball and softball. But it wasn’t just the varsity teams — Gardiner coached the frosh-soph teams, as well. And she did so for 12 full years. During those early years, Gardiner had to fight many battles, financial and otherwise, to ensure that ultimately, girls’ athletics would be on an equal footing with the boys. She remembers having to personally tape down the volleyball boundary lines every day in the fall, and line the softball fields by herself before games in the spring. Gardiner’s coaching efforts during that Title IX era were important firsts for Geneva, but she wasn’t done breaking glass ceilings. 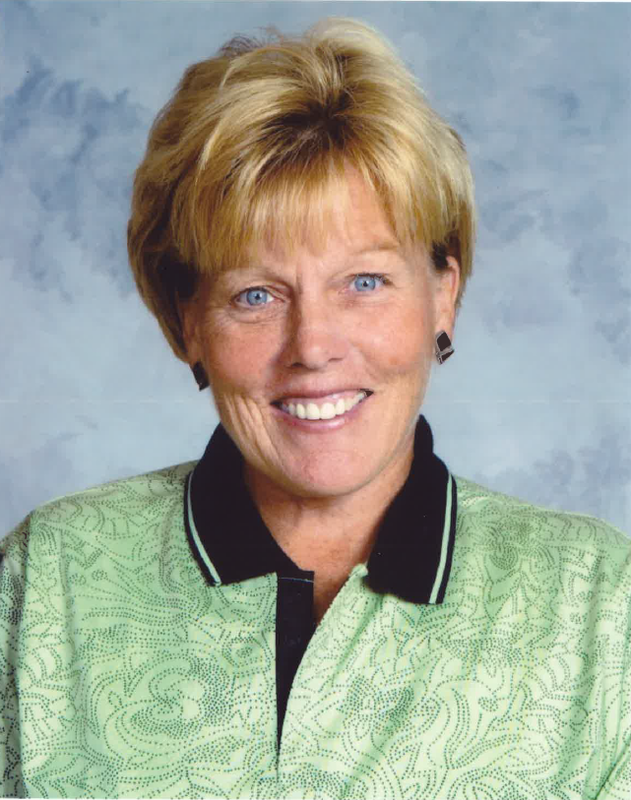 From 1980 to 1992, she served as assistant athletic director; and for 24 years, from 1984 to 2008, she was the school’s department chair for physical education and health. Gardiner became assistant boys’ golf coach in 1994, and continued teaching P.E. — to both genders — through her retirement from fulltime teaching in 2008. She continued to coach golf for four more years, through spring 2012, rounding out four full decades at Geneva High. In a recent interview, Gardiner said she was too busy coaching and teaching to think of herself as a Title IX trailblazer. But she will be remembered at Geneva for being exactly that. “When I see today’s tremendous facilities, high-quality equipment, equal practice times and stipends, I know all those early battles were well worth it,” she said. Editor’s Note: Kane County Connects editor Rick Nagel is a member of the Geneva Athletic Hall of Fame Committee.